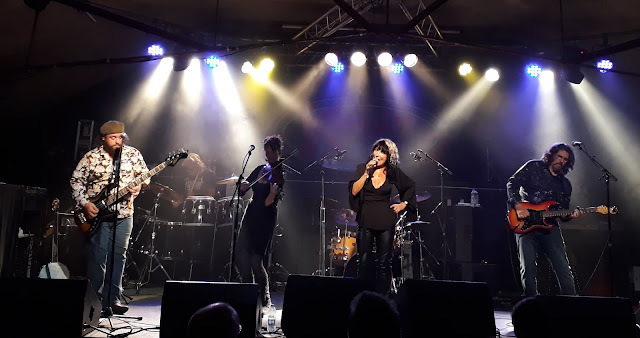 When Joy Strachan-Brain and her Quill troupe call in at The Robin 2, it's always a gig not to be missed for Yours Truly KJS and their exemplary fifteen song set proved it once again at the celebrated venue last night (Friday 29th June). A bubbly, entertaining acoustic set from the much talented Danni G including a sublime cover of the early Fleetwood Mac classic "Oh Well" provided the perfect backdrop for a band that is continuing its four decade journey as this accomplished septet, basing their live act on an ever growing number of original songs balanced by some inspired covers. The now familiar "Say It Ain't So" and "Nine Mile Camp" were joined by newer songs such as "Pretty Ribbons", "Grey Goose Call" and "Little Affection" with Quill evidently enjoying themselves on stage with some fine musicianship capped by the world class lead vocals of Joy aided and abetted by Bev Bevan and Andy Edwards (in their perfect percussion partnership), the guitar craft (be it lead, rhythm, bass and banjo) of Phil Bates with Matt Worley and the effervescent violin playing of Kate McWilliam - not forgetting the keys and flute of Jo Bates, a key element of their sound. Quill manage to radiate so much energy and continue to give their followers a taste of so many styles yet still remain true to themselves. 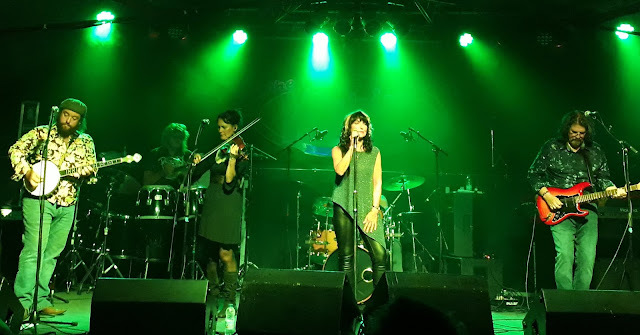 This trait was demonstrated wonderfully on the night with a beautiful a capella rendition of The Beatles' "Because" (by Joy, Phil and Jo) alongside superb reinterpretations of "Telephone Line" (ELO), "Changes" (Black Sabbath), "Gold Dust Woman" (more Fleetwood Mac!) and a stomping finale of "California Man" (The Move) ensuring that Bev's amazing career was fully represented. Quill in 2018 are an experience to be treasured. Go see em! Quill performed: "The Bells Of Rhymney"; "Pretty Ribbons"; "Say It Ain't So"; "Elephant In The Room"; "Because"; "Little Affection"; "Telephone Line"; "Changes"; "Forever Young"; "Nine Mile Camp"; "Lee's Jig"; "Grey Goose Call"; "Gold Dust Woman"; "Say Goodbye"; "California Man"
elobeatlesforever (elobf) recommends Quill to those enlightened folks who enjoy the music of ELO, Jeff Lynne, Roy Wood, Wizzard, The Move, The Idle Race, 'Brum Beat', The Beatles and related artistes.